I have an easy breakfast recipe for you! 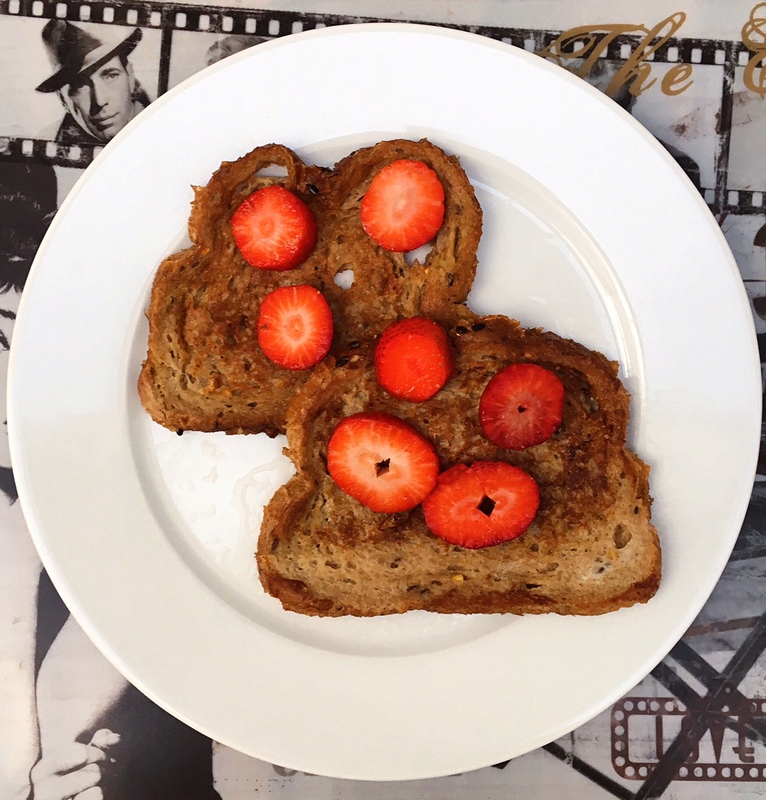 This recipe for French toast is lightened up and lactose free. Mix the eggs, almond milk, agave and vanilla extract. Add dash of cinnamon if you want. Pour the mixture in a deep plate or a bowl with a flat surface. Soak the slices of bread in the mixture on each side for a couple of seconds. Put a bit of olive oil in a hot skillet. Now bake the slices on each side for 2 to 3 minutes. When the bread is ready you can top it with your favorite toppings. Syrup, honey, peanut butter, chocolate sprinkles, cream cheese, marmelade, etc. Strawberries, blueberries, raspberries, apples, bananas, etc.